Looking forward to the taste of Asparagus in spring is without doubt one of the great joys of starting a vegetable garden. One thing you need to be aware of when groing this plant is that it is perennial. i.e. it will come back year after year. So, ideally you need a place to grow it undisturbed for a few years. If you give it the care and attention it deserves, Asparagus could reward you with a bountiful crop for up to twenty years. This plants demands good quality, rich soil. It will thanks you for many years to come if you plant it in a free draining, nutrient rich soil. Do make sure to keep the area around your Asparagus weed free. 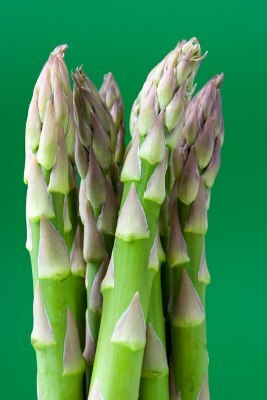 The best way to start gardening with asparagus is to buy root systems, which are known as crowns, in mid spring. If you feel you have the space and want a plentiful supply try planting a dozen crowns. Younger crowns, i.e. one year old, will transplant far easier than older crowns, but you will have to wait two years to let the plants establish themselves, then you can harvest. Older crowns (two or three years old) can also be got, and these can often be harvested the following year, however they do not always transplant as well as the youmger roots. Plant in early spring if the weather is not too cold or wet. Dig a trench that is comfortably wide enough for the roots of the crowns to be well spread out,now, make a ridge in the centre. Prior to planting Asparagus crowns soak the crowns for a couple of hours,now, place each crown on the ridge, 45cm (18inches) apart. Cover the crowns well with loose soil, to a depth of about 10cim (14 inches). Rows should also be spaced roughly 45cim (18inches) apart. This plant owes its origins to the Mediterranean and as such watering is not top priority. However, keeping the bed weed free, certainly is. The best way of keeping the weeds down is to apply a good thick layer of mulch, 3 to 4 inches. The added bonus is that it will maintain moisture around the plant so watering will rarely be an issue. As mentioned before, these are perennial plants, so they prefer not to be moved. 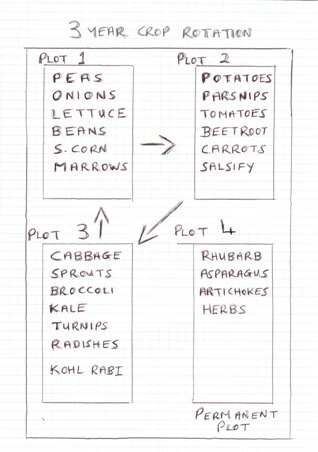 Be prepared to give over a portion of your vegetable garden to these plants for some years to come. Asparagus beetle is is a serious threat and unique to this plant. The adult beetles are 1/4inch long and black with yellow blotches on their wings, while the larvae are grey in color. These love nothing more than feasting on the leaves and bark of the asparagus in both Spring and Summer. Beetles and larvae can be hand picked off the plants, and the damaged plants should be burned. Violet root rot, is another serious threat, it is caused by a fungus that attacks the roots of asparagus. The signs that this root rot is present are unhealthy-looking, yellow fronds in summer. If you dig up your Asparagus plant, you will find purplish-brown thread-like filaments across the roots. 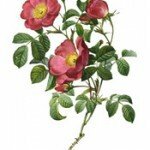 Get rid of affected plants and burn them. If you are planting in a slightly exposed site the plants will appreciate the support of a stake to stop their roots rocking in the wind.